قالت صحيفة حريت التركية الخميس 22 نوفمبر/تشرين الثاني 2018، إن مديرة المخابرات الأمريكية جينا هاسبل لمحت لمسؤولين أتراك الشهر الماضي بأن الوكالة لديها تسجيل لمكالمة أصدر فيها ولي العهد السعودي تعليمات «لإسكات» الصحفي السعودي جمال خاشقجي بأسرع وقت. وكتب الصحفي عبد القادر سلوي عمودا في الصحيفة قال فيه «هناك حديث عن تسجيل آخر» مضيفا أن المكالمة المزعومة تمت بين الأمير محمد وشقيقه سفير السعودية في واشنطن. وكتب قائلا «يقال إن مديرة المخابرات الأمريكية جينا هاسبل لمحت لذلك خلال زيارتها لتركيا» مضيفا أنهم ناقشوا قضية خاشقجي الذي كان ينتقد الأمير محمد الحاكم الفعلي للمملكة. وأردف قائلا «يقال إن ولي العهد أصدر أوامر بإسكات جمال خاشقجي بأسرع وقت ممكن» في مكالمة راقبتها الوكالة الأمريكية. وقالت وسائل إعلام أميركية، أن الصحفي السعودي، جمال خاشقجي، حينما كان ببلاده عام 2016، منع من ممارسة عمله، لانتقاده آنذاك، الرئيس، دونالد ترامب، فسافر للولايات المتحدة كي لا يتم اعتقاله. ومن الملفت للانتباه أن هذه المعلومات التي تناقلها الإعلام الأمريكي، الأربعاء، وردت في تقرير وزارة الخارجية الأمريكية لحقوق الإنسان للعام 2017، في الجزء الخاص بالمملكة العربية السعودية. التقرير المذكور ذكر آنذاك أن المملكة السعودية أغلقت صحيفة «الحياة» التي كان يعمل فيها خاشقجي، ومنعته من العمل، لانتقاده ترامب، بل وحظرت ظهوره في القنوات التلفزيونية أو المشاركة في أية مؤتمرات أو محاضرات. وبحسب المصدر ذاته، فقد اضطر خاشقجي للانتقال إلى الولايات المتحدة بعد فترة وجيزة من رفع الحظر عنه؛ وذلك خوفًا من اعتقاله من قبل السلطات السعودية. وأوضح التقرير أن خاشقجي بدأ بعد قدومه لأمريكا في انتقاد الإدارة السعودية، في العديد من الموضوعات مثل سياستها باليمن، وحرية الصحافة بها، ومسائل أخرى، وقال إنه سيعتقل حال عودته للمملكة. تجدر الإشارة أن خاشقجي قال في كتاباته التي تعرض بسببها للضغط من قبل السلطات السعودية، إن «السياسة الخارجة لترامب متناقضة وانتظار شيء منه كرئيس يختلف عنه كمرشح رئاسي، أمل كاذب». والثلاثاء، قال ترامب في بيان نشره البيت الأبيض حول العلاقات بين واشنطن والرياض، إن «الولايات المتحدة تنوي البقاء شريكا قويا للسعودية، بهدف ضمان مصالحها ومصالح إسرائيل وبقية شركاء واشنطن في المنطقة». وجاء موقف ترامب هذا، رغم إشارته في البيان ذاته إلى أنه من «المحتمل جدا أن ولي العهد السعودي (محمد بن سلمان) كان على علم بمقتل جمال خاشقجي». وتواجه السعودية أزمة كبيرة على خلفية قضية مقتل خاشقجي، إذ أعلنت المملكة في 20 أكتوبر/تشرين الأول الماضي، مقتله في قنصلية بلاده في إسطنبول، بعد 18 يوما من الإنكار. 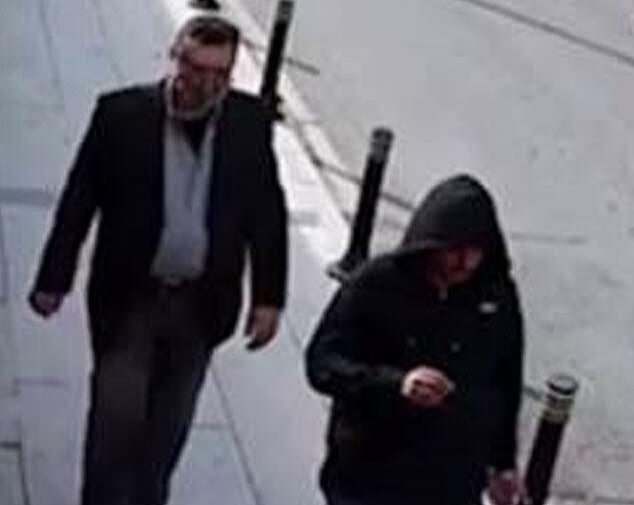 The CIA are reportedly in possession of a damning recording of Crown Prince Mohammed Bin Salman giving the order to murder Jamal Khashoggi. The de facto Saudi leader can be heard calling for journalist Jamal Khashoggi to be silenced as soon as possible in a smoking gun audio recording, Turkeys Hurriyet Daily news reported. The audio is said to be from phone call wiretapped by the US between Crown Prince Mohammed and his brother Khaled bin Salman, who is the gulf kingdoms ambassador to the United States. According to Hurriyet news, CIA Director Gina Haspel signalled the existence of the highly incriminating tape during her trip to Ankara last month. 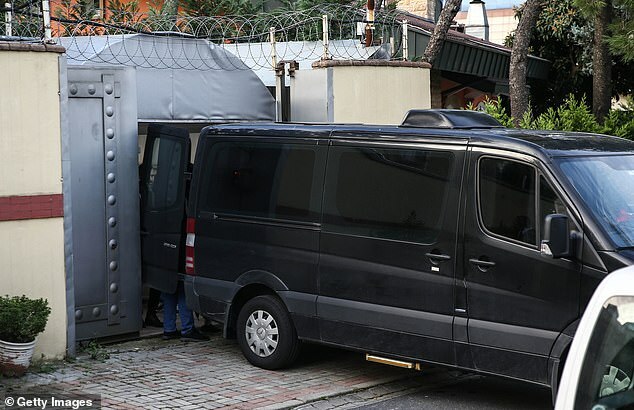 Hurriyet columnist Abdulkadir Selvi claimed that a if thorough international investigation into the murder were opened, it would reveal even more jaw-dropping evidence because the CIA has tapped many more phone calls than the public knows about. 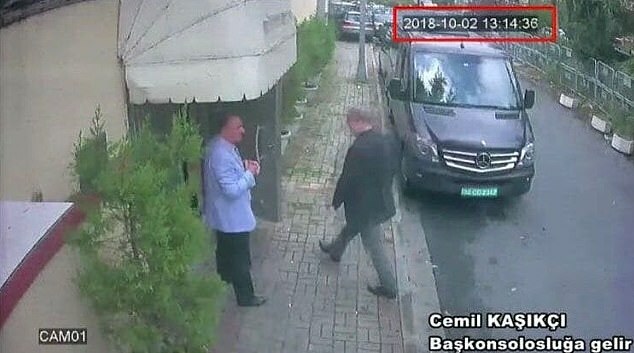 The Turkish President Recip Tayepp Erdogan has previously said he shared recordings of the 59-year-olds murder with the UK and the US. Erdogan may meet with Saudi Crown Prince Mohammed bin Salman during a visit to Argentina for the G20 summit, his spokesman said today. State-owned Anadolu news agency quoted Ibrahim Kalin as saying, Were looking at the programme. It could happen, in response to a question whether the two leaders would make contact during the summit. 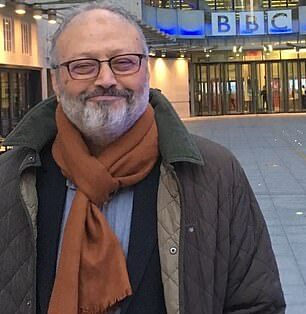 In previous recordings Khashoggi, a mild critic of the Saudi regime, reportedly says: Release my arm! What do you think you are doing?, shortly after entering the consulate, and later: Im suffocating... Take this bag off my head, Im claustrophobic. The Turkish media also reported that in a taped conversation between members of the hit squad, one of them shouts to the journalist: Traitor! You will be brought to account, and other complains about having to wear his clothing to act as a decoy after his murder. Saudi Arabia today warned criticism of Crown Prince Mohammed bin Salman is a red line as western countries continue to probe into Khashoggis murder. 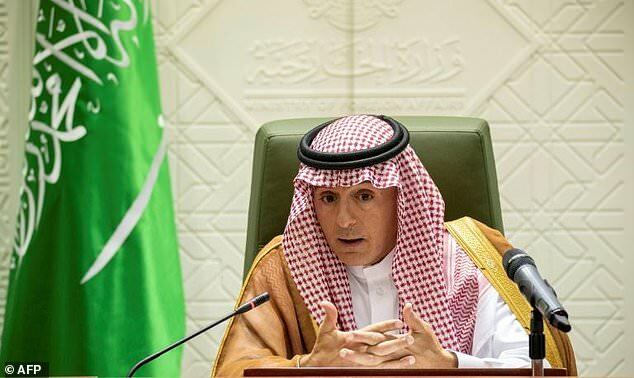 Saudi Foreign Minister Adel al-Jubeir said Wednesday that calls for the crown prince to be held accountable for the grisly killing of Khashoggi at the Saudi consulate in Istanbul last month would not be tolerated. 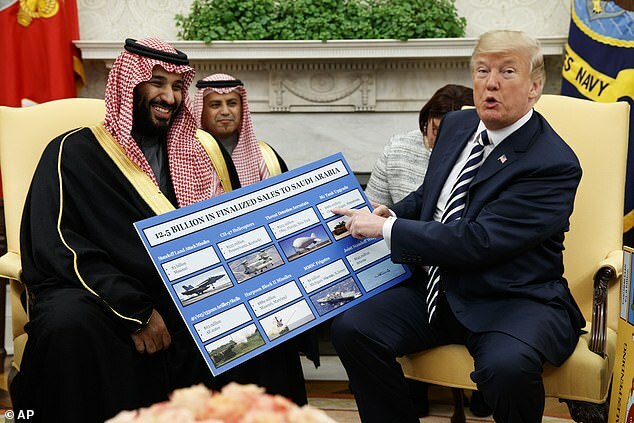 Meanwhile US President Donald Trump heaped praise on the kingdom in defiance of warnings he was giving Riyadh a pass on a journalists grisly murder. Trump praised Saudi Arabia for keeping oil prices low - the main strand of his argument against punishing Riyadh even though the CIA reportedly found strong evidence that the crown prince, the de facto Saudi leader, was involved in the murder. In Saudi Arabia our leadership is a red line. The custodian of the two holy mosques (King Salman) and the crown prince are a red line, Jubeir told the BBC. They represent every Saudi citizen and every Saudi citizen represents them. And we will not tolerate any discussion of anything that is disparaging towards our monarch or our crown prince. 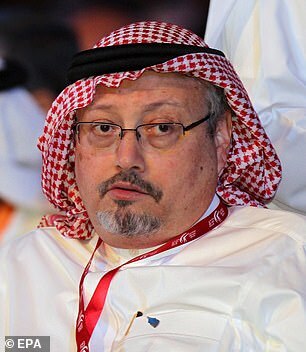 Khashoggi, a US resident who wrote for The Washington Post and had been critical of Prince Mohammed, was lured to the Saudi consulate on October 2, killed and reportedly dismembered. After lengthy denials, Saudi authorities admitted responsibility and said 21 people had been taken into custody. It has reportedly called for the death penalty against five men connected to the killing but repeatedly denied involvement at the top echelons of its leadership. However, their claims have been met with scepticism from western countries. In a thinly veiled comment aimed at the Saudi royals, the EUs top diplomat Federica Mogherini said on Thursday that all those really responsible for the murder should be brought to justice. Those responsible, really responsible for this terrible murder have to be accountable, she told a news conference in Ankara with Turkish Foreign Minister Mevlut Cavusoglu.